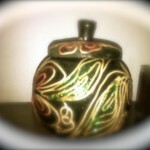 “A great souvenir is a singular tangible memory keeper, an almost metaphysical object”.. Tourists, local and international alike, wants to bring something with them after an awesome vacation. 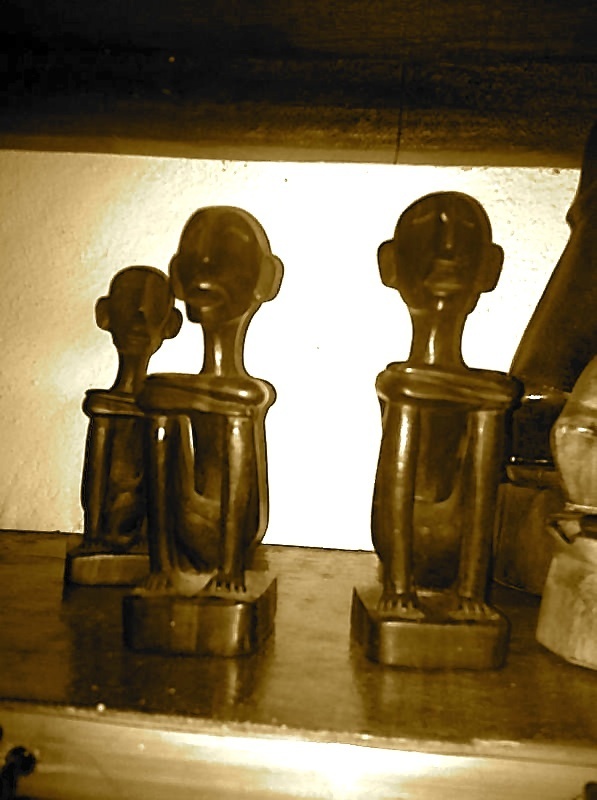 Some souvenir items from the islanders or from the country itself. Something that describes how unique the place is. Something that will make you remember the place and the wonderful moments you shared with the natives when you go back home. 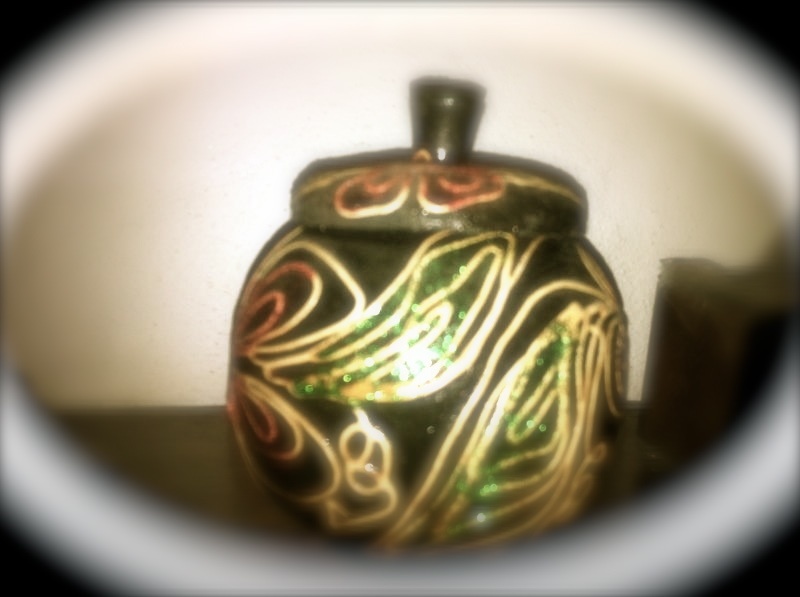 Perhaps, a diving souvenir for divers. Malapascua is a pristine and small island on the northern tip of Cebu, it measures only about 2.5 kilometers and 1 kilometer wide plus a few hamlets. Anyone can spend the day walking around the island several times while enjoying the breeze, the sunrise and the sunset. It is unexploited so you can’t find shopping malls or huge supermarket around. All the people here get most of their supplies from the main land which is quite a few rides away. Studying the area, the location and the hassles of getting supplies and bringing it through a small boat, which is the only way to get to the other side and vice versa, Kokay’s Maldito Dive Resort came up with its very own Souvenir or Gift Shop and a Kiosk. Kokay’s Maldito Dive Resort know and understand what our guests needs or wants to have quality time in Malapascua and go home with a smile and extraordinary memories. The Souvenir or Gift Shop is a small room full of artworks from Malapascua and the Philippines. It has a wide selection of souvenir items. From uniquely designed accessories made of shells for men and women like earrings, necklace, bracelets and many more. 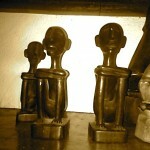 Woven bags, wood wall decors and underwater inspired figurines can be found here too. Pretty souvenirs made by the islanders and unique items from the Philippines, men’s and women’s clothing, beauty essentials and personal hygiene necessities are all in the Souvenir Shop. 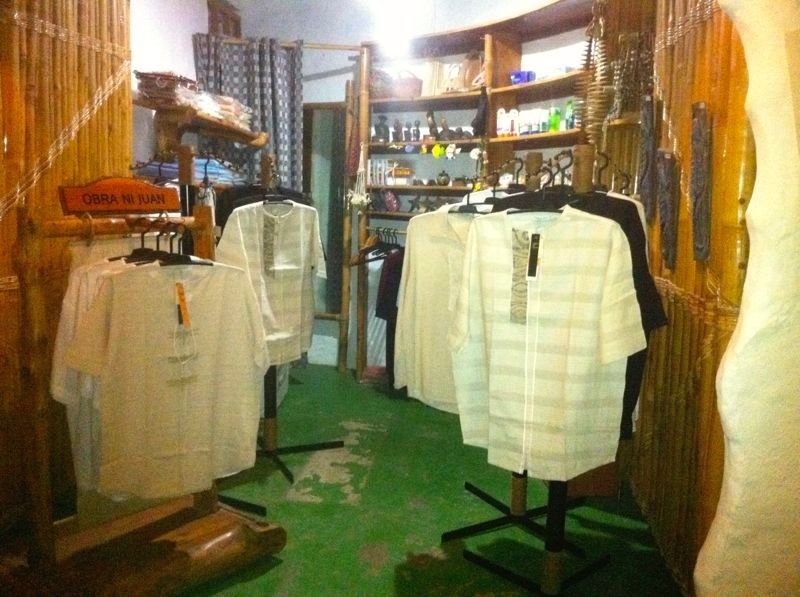 Also inside the shop, is our very own Obra ni Juan, a concoction of traditional Filipino design and modern fashion line of clothing for men. Feel free to choose from our display stand a variety of colors and designs. 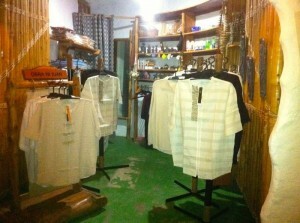 Authentic casual pair of pants and a shirt will suit you best while exploring around Malapascua. 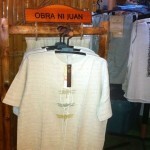 Casual Attire from Obra Ni Juan available in Malapascua. 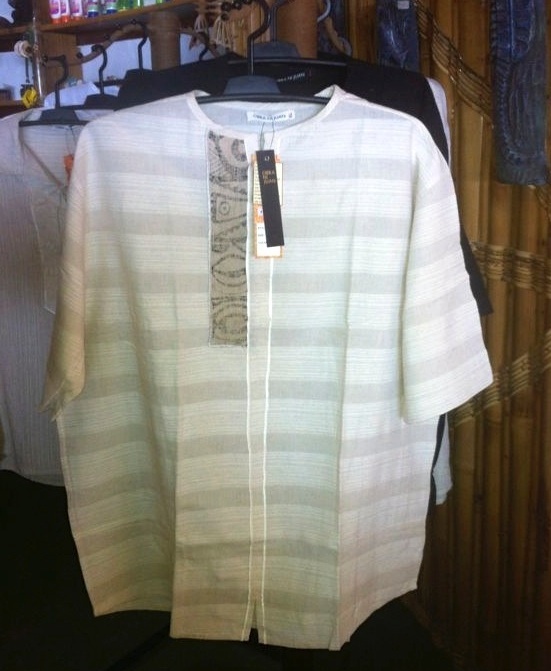 Executive attires are there for special occasions or business gathering if you have none while in the island. Designer T-shirt and bottoms are your friends too. Bringing some of this as a gift to your family and friends will absolutely amuse them. Obra ni Juan personifies the Filipino creativity at its best. It is well-known through out the country. A symbol of the Philippines’ cultural preservation and modern fashion. 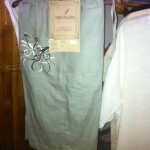 For women, we have assorted souvenir T-shirt, summer shorts, undies, swimsuit and towels. The traditional “tube skirt” or what we call us malong or sarong, made from colorful woven cotton materials for both men and women are available too. 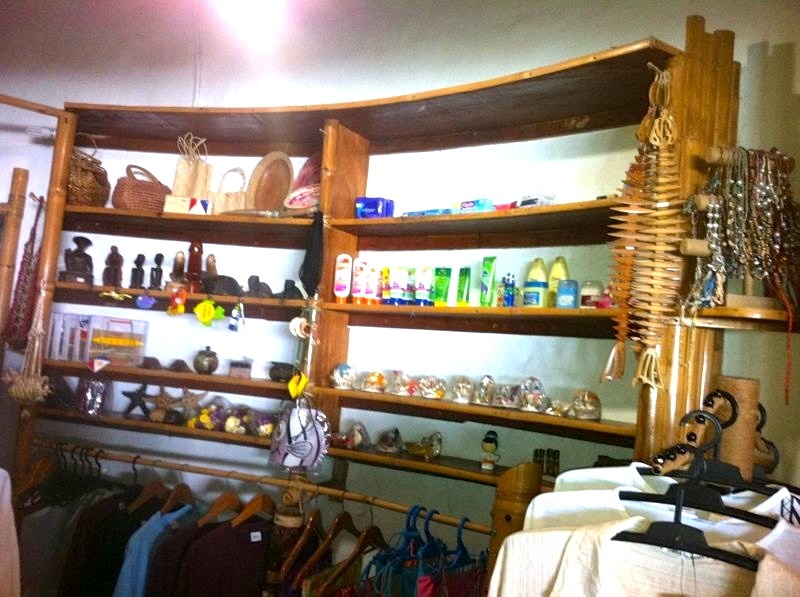 The shop also serve as a Kiosk or convenient store where you can find daily essentials and other small necessities for your stay in the island. Shelves with your beauty essentials and personal hygiene materials inside the shop. The Souvenir Shop is conveniently located inside the restaurant roof. On the right side of the Reception Area near the Billiard Table. Our Reception Staff are very helpful with whatever it is that you need. Please feel free to ask and they will guide you all the way.